Let it be know that any novel that began with an electrocution is not good news for your psyche! What do you know, Sylvia, turns out, I’m stupid about executions too. 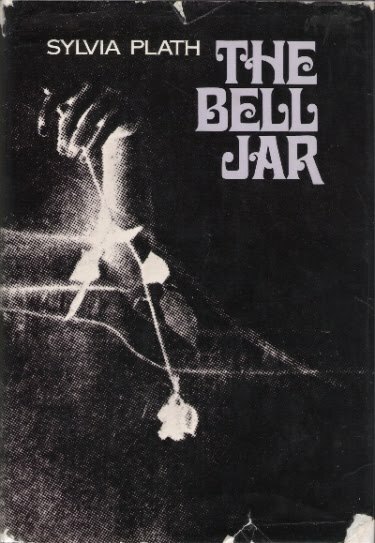 The Bell Jar has a very refreshing ring to it and I understand what would have prompted Sylvia Plath to write it in 1963. The world was changing then, women were finding their place in the society in a brand new America. Little has changed since then, now women are finding a new place in a brand new India. So the society that never took the aspirations of a female poet seriously still exists, only the continents are different. I viewed Sylvia’s book in a very condescending light. Because I didn’t want to involve myself with Esther too much, no one wants to compare oneself with the depressed young lady who tries to cut herself. Many say The Bell Jar was autobiographical, I wouldn’t disagree entirely, Sylvia always found a bit of herself in her books. Esther Greenwood, much like Sylvia, was at the threshold of success and she suffered from what I now famously call the “Emptiness Syndrome” so I have scaled the mount Everest. Now What? The emptiness eventually catches hold of her and she spirals into an unending abyss of the darkness that is life. From the joyous streets of New York to the whiteness (if there is such a word) of an asylum. Sylvia takes on a journey of self reflection. At the end of which, even I began to wonder what if I were to jab that razor into me. Some parts of the novel are blatantly cruel to the human body. It’s a first hand account of depression by the depressed. My suggestion would be to let this one pass if you’ve a narrow faint heart! And eve if you do read it, kindly keep all the knives and razors far far away from you for there is an Esther in all of us. Ah!!! hmmmmm… yes… the last line— yes.. that one was totally for me! books like these- i kno thw exactly wht they wd do to me.. i am already disturbed! n these could get me straight to 'kilpauk' for.. ermm.. hmm.. a consultation! u review tempts me.. nw- the tone of this statement, i leave it to u! no offense to Sylvia.. i m sure, bless her soul, she wd understand tht we could have been best of friends! my grave could hav been near her's even!